We are engaged in offering Block Cutting Machines that are manufactured using quality-tested components as per the international standards and norms. These machines find application in cutting large blocks and are extensively used in various construction and building industries. We can also do the customization of these machines as per the client''s specifications. 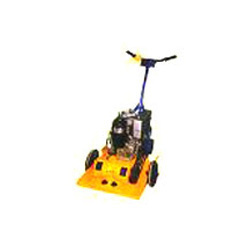 We are engaged in offering Vibrating Earth Rammers, which are available in different types with varying capacities. These are fabricated from quality components in conformation with latest technology. Our range of Vibrating Earth Rammers finds its application in concretion of industry concrete flooring and sub-base roadbeds and pavement block laying. These machines also hold the capability to produce a capacity of 3-4 tons pressing with 5HP diesel engine. Looking for Block Cutting Machines ?